Are you ready for summer? Make sure you skin is too with these 5 beauty must-haves for great summer skin! Working from home, I’ll admit that I don’t always stick to a beauty routine since I’m not going out into public. Being able to work at your computer in your PJ’s really can be as awesome as it sounds. However, I do like to at least dress it up a bit as I feel like I have a bit more confidence when I take a few extra minutes in my beauty routine to look my best. Plus, I do want to look nice for Mr. Savvy, especially when we go out. During the warmer months, I do show more skin since it can be as hot as hades here in the south. So, I, of course, want my skin to look its best and wanted to share my 5 beauty must-haves for great summer skin. 1. St. Ives Fresh Apricot Scrub – I’ve always tended to have dry patches of skin, especially on my face. One of the ways I have found best to alleviate them is with a good facial scrub. 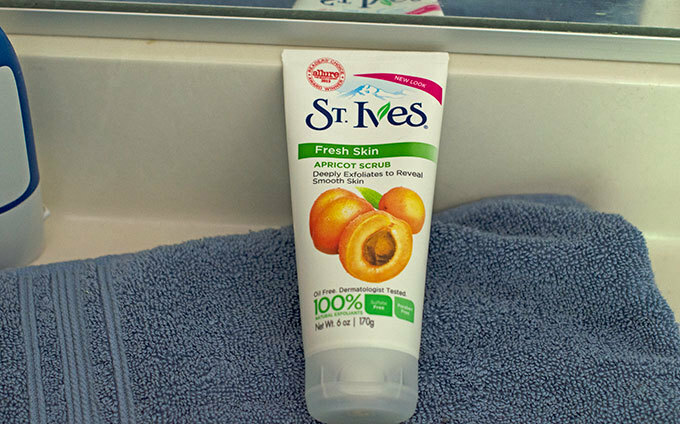 One of my favorites is the St. Ives Fresh Apricot Scrub. I love it because it has a nice creamy texture that washes off well and the scrub isn’t overly abrasive but does a nice job of cleaning up your skin. Many cleansers actually irritate my skin more and this is one of the few that don’t. 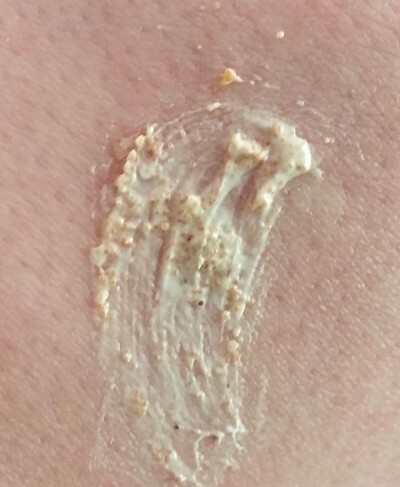 I love that St. Ives Apricot Scrub is creamy but slightly abrasive to get rid of dry skin so much that I often use it on rough patches on my legs and arms too. 2. St. Ives Oatmeal & Shea Butter Body Wash – I discovered shea butter in my teens and have loved the way it makes my skin feel ever since. Needless to say, I love to use beauty products that have shea butter as an ingredient. Plus, as I said my skin can sometimes get irritated from certain products, so I like that this body wash has oatmeal in it, which is known to help soothe skin. This body wash has a nice clean scent that leaves my skin feeling soft and moisturized. 3. Skintimate Strawberry Tangerine Moisturizing Shave Gel – I’m petite at just under 5’3″, so I like to help my legs look as good as possible. I also have dark hair which means I’m shaving pretty much every day during the summer. With that in mind, I, of course, want to help keep my legs as moisturized as possible while still looking great. I really love this shave gel because it smells great, washes off nicely and really does a great job at keeping my legs smooth, soft and moisturized. 4. Schick Hydro Silk Trimstyle Razor – With the season of sleeveless shirts, short shorts and bikinis, it’s important to me to have smooth skin and not worry about stubble. But, I’m not a fan of waxing so I prefer shaving. I’m all about products having as many functions as possible so I have less to store so I love the Schick Hydro Silk Trimstyle Razor. The razor part does an amazing job of giving a close shave without irritating my skin, something I’ve had a lot of issues with in the past. The trimmer does a nice job of helping to keep things under control with your bikini line and I like that it is adjustable. 5. Moisturizing Lotion with at least SPF 30 – I love this time of year because the days are long and full of sun. If you’re like me, that means you’re spending a lot more time outdoors. I’ve been lucky enough to have never even gotten a sunburn, but my mother did have a bout of malignant melanoma (aka skin cancer), so I like to help myself stay protected with a moisturizing lotion that has at least a SPF 30. What are some of your beauty must-haves for great summer skin?